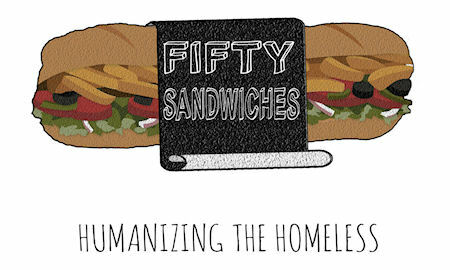 Fifty Sandwiches is a cross-country journey dedicated to presenting the public with a rare glimpse into the lives and stories of America's homeless. Their unique and unheard experiences will be captured in a book. Fifty Sandwiches is a Kickstarter project by media student Justin Doering. The goal is to close the gap between perception and reality, collecting unique splices of life along the way. Justin will be traveling city to city, offering to take homeless people out for a free meal in exchange for an interview. As each chat progresses, these talks will evolve into a dynamic collection of life struggles, stories, and philosophies from a population that is rarely given a voice.